Whether you are starting a new business or just need an inspection, we want to be the fire service company you call first. Our highly skilled and licensed service team will assess your needs and discuss your options with you. It is the mission of Alliance Fire Protection to provide premier customer service at a reasonable price while maintaining the highest level of fire protection safety for our customers. We realize that there is no substitute for repeat and referral business. That is why customer satisfaction is still our number-one business asset. Alliance Fire Protection is pleased to offer the AFP-1 Care Program, a year-round Care Plan. AFP-1 Care goes beyond the annual requirements by performing your monthly inspections, and ensuring your business is in compliance throughout the year. The AFP-1 Care Program is fully customizable to meet your business needs, saving money and reducing risk year-round. Call us at 800-273-1552 for your no obligation risk review. We look forward to reducing your risk and providing you with exceptional care. Contact us to reduce your risk today. We provide a free written estimate for our services. If you provide us with a competing estimate stating a lower price, we will beat that price by 10%. 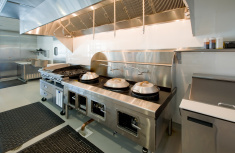 Rest assured knowing our fire protection services are complete and cost effective. Alliance Fire Protection strives to protect life and property, and to be the preferred provider for our customers. We deliver high quality products and services, with an experienced, professional staff who are completely committed to intergrity and excellence. Our commitment to excellence in system installation, outstanding service and training, is your best defense against a fire loss, providing you comfort and peace of mind. For Excellence in Service & Satisfaction, Give Us a Call! Call us for your no obligation risk review. We look forward to reducing your risk and providing you with exceptional care.